With the summer in full swing and the glorious weather most of us seem to be leaving more and more valuables out in the garden. 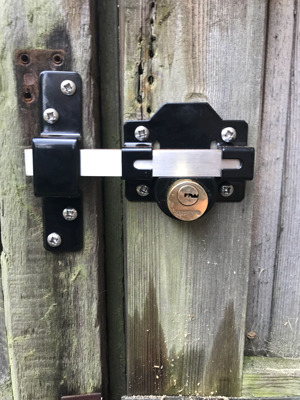 With this in mind you need to try and keep your garden as secure as possible and the best way to do this is with this new side gate key operated lock. It can be operated on both sides of the gate unlike the old shoot bolt, which can only be internally locked. It is robust and will make it harder for said intruders to open the gate even if they do manage to scale the walls or fences. It also gives you an option to access your property via the rear doors as well. 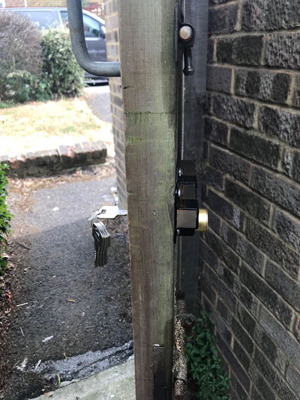 Joseph Johnson – JJ Locksmiths Bromley. 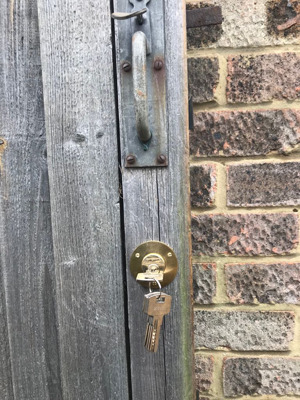 Your local independent, locksmith service. © Copyright - JJ Locksmiths All Rights Reserved.